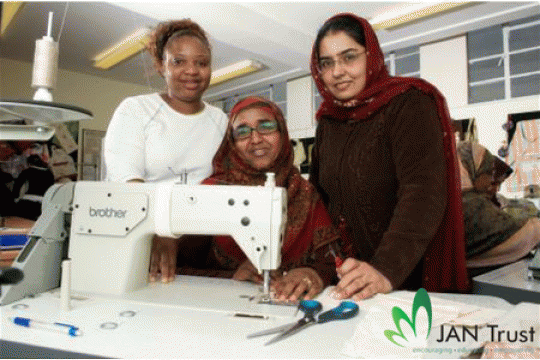 JAN Trust aims to empower vulnerable women to lead better and independent lives. JAN Trust is an award winning charity based in Haringey that was founded in 1989 with the aim of improving the lives of Black, Asian, minority ethnic, refugee and asylum seeking (BAMER)women and youth by empowering them to overcome the barriers to inclusion they face. We offer a wide range of services that have been identified by our users themselves as a necessity. These include free training to further integration and employability and programmes to eradicate extremism, hate crime and VAWG. The work done at JAN Trust allows disadvantages women to be brought to the forefront of confronting issues that often define them and their communities. Our beneficiaries become role models to their children and ambassadors within their own communities. The JAN Trust is working to create safer communities that are free from, online radicalisation, forced marriages, hate crime, violence against women and FGM.